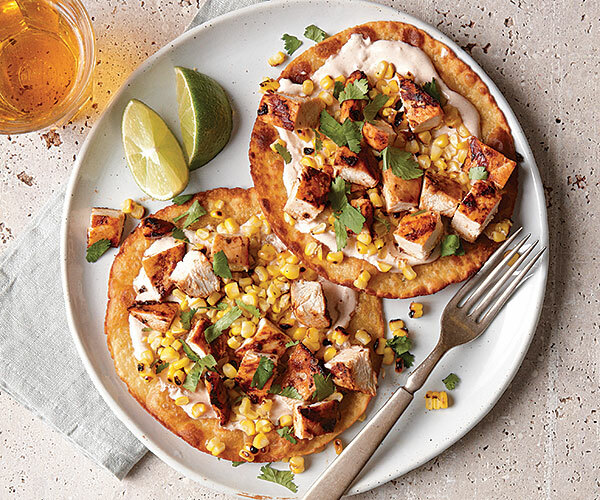 Charred corn and chicken have great summery flavors, but what really makes this tostada sing is the chipotle-lime cream sauce that holds everything on the shell. 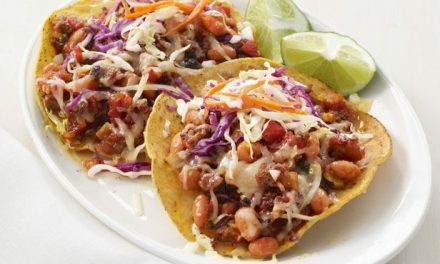 In a medium bowl, combine the minced chipotle and 2 Tbs. of the adobo sauce with the oil, zest, oregano, and 1/2 tsp. salt. Brush the corn lightly with oil and season generously with salt. Grill the chicken and corn, turning the chicken once and the corn a few times, until the chicken is cooked through, 4 to 7 minutes, and the corn is charred in spots, about 12 minutes. Transfer to a cutting board, let rest for a few minutes, and then cut the chicken into bite-size pieces and cut the corn off the cob. 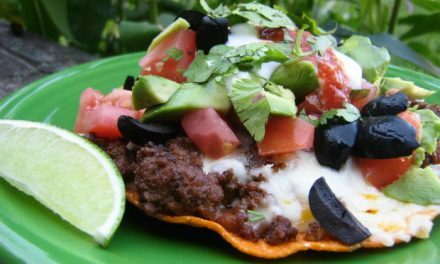 Mix the sour cream with the lime juice, the remaining 1/2 Tbs. adobo sauce, and 1/4 tsp. salt. 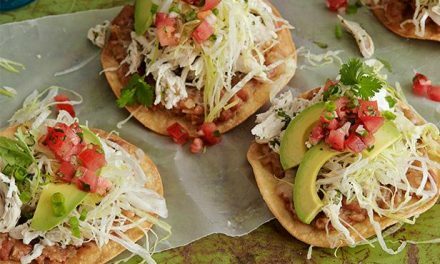 Spread evenly onto the tostada shells. Top with the corn, chicken, and cilantro. 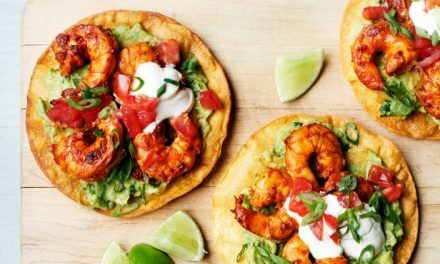 Serve with the lime wedges on the side, if using.